Baby Shower Gifts are notoriously difficult to choose. Let us make it easy with 20 plastic free baby gifts. Having a baby doesn’t have to be a waste-filled time. 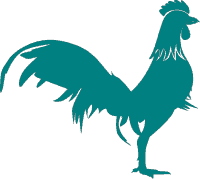 There are lots of amazing low or no waste options out there for new/expecting parents. 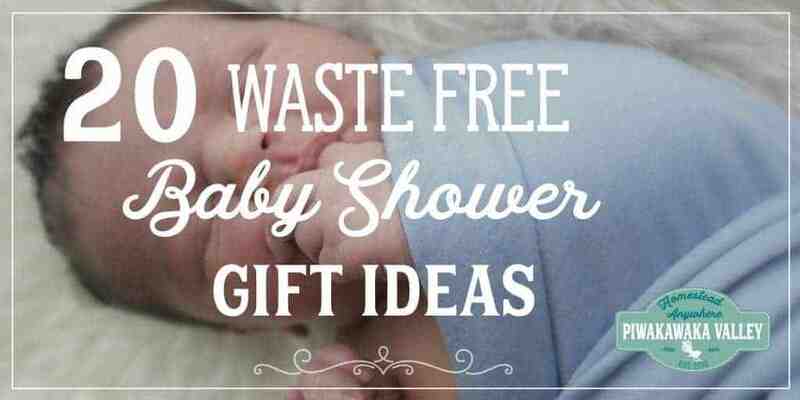 Here is a list of waste free gift ideas for a baby shower. Cloth Nappies. Modern Cloth Nappies (diapers) are becoming hugely popular, which is wonderful for our environment as well as much healthier for baby bums. But it can also be a huge investment to get started. Receiving a couple quality covers or package of prefolds is a huge help. Baby Soap/ Nappy creams. Try and buy local and natural. A good quality product is worth it’s weight in gold. Restaurant gift cards. Some days it’s just a juggling act and to have dinner taken care of is a complete relief. Grocery store gift cards and coffee shop gift cards are also very nice to receive. Spa Packages. Being a parent of a new baby is pretty exhausting. Most days are considered a success if everyone got fed and mom got a shower. Giving a massage, hair appointment or facial/manicure/pedicure are all great gifts that celebrate the mum. White Noise maker. For first time parents, it’s nice to have baby used to noise while sleeping, so parents can vacuum, have the doorbell ring or talk on the phone while baby is napping and not worry about waking baby. It’s also great for the baby with older siblings, so baby can nap and the siblings can play. Baby Proofing. Plug outlet covers are great, or a baby gate. Camera. If you know the parents well and know what their camera situation is, this is an excellent idea. Having a nice camera makes a big difference in picture quality. Photo Session. There are many wonderfully creative photographers these days, and having sweet pictures of your family is really special. Pamper with Smells. Gift an essential oil diffuser and a bottle of essential oil. Blankets. Just to warn you, most babies get a lot of blankets. But a good quality swaddle can be a life saver- these swaddling blankets are fantastic. Books. It’s never too early for books. Clothes. Ok, I’m going to be honest here: people love baby clothes and love buying baby clothes. The issue is that most of the clothes they give baby, just aren’t practical. I always had plenty of dresses for my daughter and cute sweater vest outfits for my sons, but what I really needed were some basics: Sleepers, bodysuits, pants, socks, a jacket and wool tie-on hat. Think ahead about what size you buy for what season, a summer baby won’t want a summer dress in size 6 months! Meals. Dinners are great, but if the family has a good support network and is receiving meals, how about some easy breakfast and lunches? Yogurt parfaits, granola, artisan bread, butter and jam or bagels and cream cheese are lovely gifts. Doula Service. If mama to be hasn’t given birth yet, doulas are amazing to have with you, Dad’s particularly love this gift. An experienced doula will help set the new parents mind at ease, and assist any support people in helping mom the best way possible. A voucher for a cleaner for the first few weeks. Getting out of bed is hard enough in the first few weeks, knowing that someone will come in and vacuum and clean the toilet can be a big relief. Offer to babysit the older kids. A day at the park or the museum so mum and baby can just sleep. A older sibling bag of goodies. simple activities and books/puzzles to keep the older ones occupied while mum tends to the baby. Baby food storage jars or containers. Having a guilt free snack in the nappy bag that won’t spill or leak? Genius! A stainless steel baby plate, drink bottle and cup combo. Wooden baby blocks. Every house needs a set of blocks!